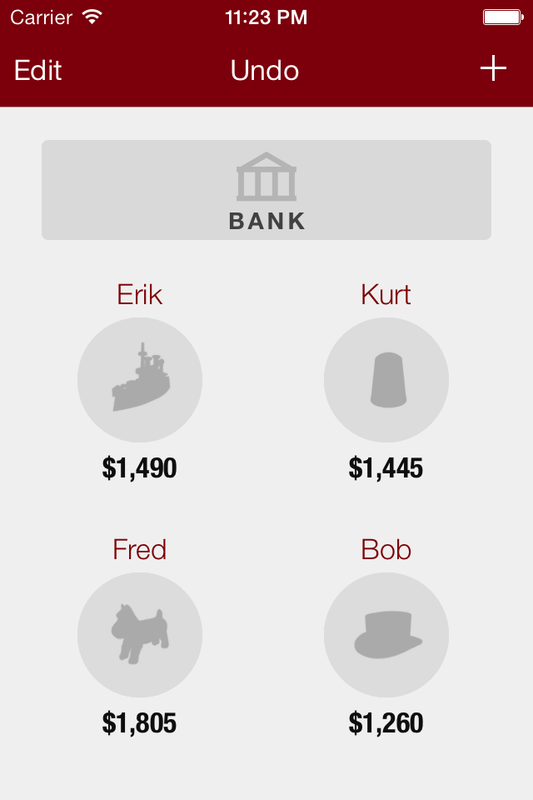 Manage MONOPOLY® money on your iPhone. Updated for iPhone 6 and 6+. Added an "Undo" button for iOS 5+. Fixed an issue where only 8 players could be added instead of 9.